Originally commissioned by CBeebies, Twirlywoos is enjoyed by kids on more than 40 linear and streaming platforms around the world. Twirlywoos is a top-rated show on CBeebies. 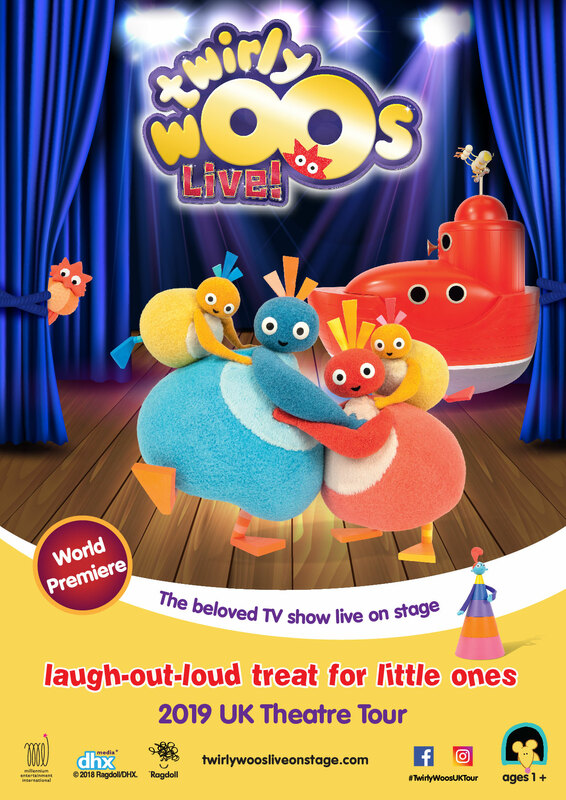 Twirlywoos is devised and executive produced by Anne Wood with lead creative and writer, Steve Roberts and producer, Chris Wood. Twirlywoos features laugh-out-loud child-centric humour which encourages preschoolers to think for themselves, and gain confidence in their own perceptions of the world. Through the show, young audiences are able to reinforce their understanding as they grow and develop, becoming active and inquisitive within their own lives. The Twirlywoos are four small, bird-like characters who are inquisitive, enthusiastic and always looking to learn something new about the world. Ever curious, they seek adventure and fun wherever they go. Whether in the real world or on their big red boat, they love to hide, imitate and be surprised as they discover new things. The show has been developed with a commitment to watching how children interact and develop, and each episode creates spaces for preschoolers to make their own connections, which aids their learning. DHX Brands is the dedicated brand management and consumer products arm of DHX Media Ltd. (TXS: DHX, NASDAQ: DHXM), one of the world’s leading children’s content and brands companies. DHX Brands specializes in creating, building and maintaining high-profile global entertainment brands within the children’s and young adult markets. With expertise in brand development, licensing, marketing and creative, we build and manage brands that captivate and inspire through engaging content, first-class distribution, quality consumer products, immersive live experiences and digital media. DHX Brands’ world-class portfolio includes Teletubbies, Strawberry Shortcake, Twirlywoos, Massive Monster Mayhem, In the Night Garden and Mega Man. DHX Brands has operations in London, Toronto, Los Angeles and Hong Kong. Established in 1992 in Singapore, Millennium Entertainment International (“MEI”) has grown to become one of the leading producers of character based live shows in the Asia Pacific, Middle East and Europe regions. Over the last 22 years, MEI has entertained hundreds of thousands of people annually with its world-class, colourful and innovative productions.